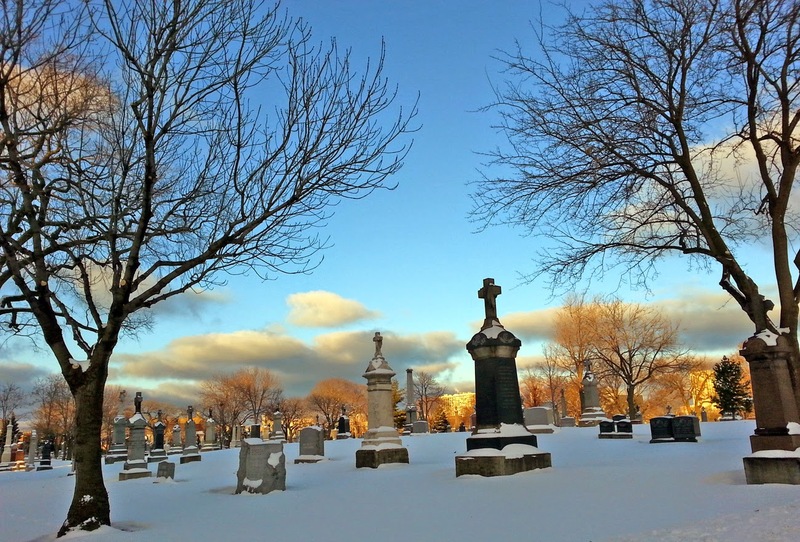 We don't know what it is about winter photos in Uptown cemeteries, but they are so peaceful. Maybe it's that the snow stays unsullied and undisturbed in low traffic areas, or maybe it's that you can see so much of the sky on sunny days. In any case, here's dusk at St. Boniface, taken yesterday.